Discover Mykonos life and hospitality, its stunning emerald-blue waters, the dazzling sunsets, while enjoying a relaxing environment and high quality services. 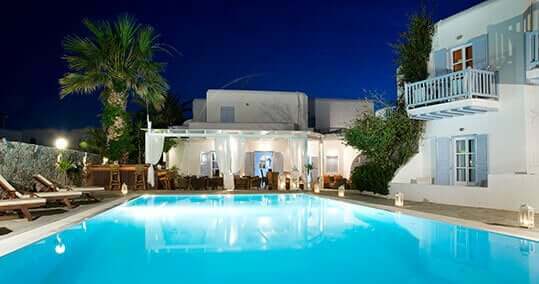 Ideally located 50 metres from the beach of Ornos, near the heart of Mykonos, Hotel Dionysos features 25 beautiful rooms and suites, guaranteeing unique comfort, including flat-panel satellite TV 42″/32″ and Wi-Fi internet access. Our rooms & suites blend modern comforts with a traditional and relaxing décor, so that you enjoy a unique vacation on the island of Mykonos. Lounge on the poolside with a cocktail in hand or indulge yourself with a luxurious massages. You can also return at night for unique romantic moments. 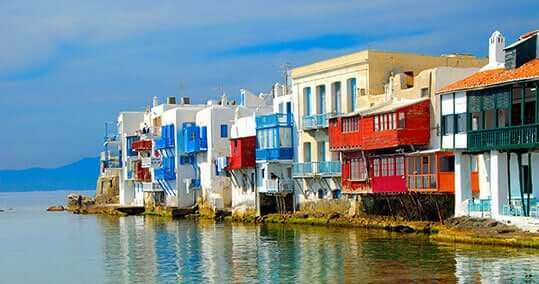 Overlooking a sheltered bay where sailing boats put down anchor at night, Ornos lies two kilometers from Mykonos Town. We really enjoyed our stay. The staff were great, room was huge and we were well looked after. The pictures may not be an entirely accurate reflection but if you come with the right attitude you will be rewarded by its location and the staff. We have stayed in Dionysos Hotel for 10 nights and 11 days .The hotel's location was perfect close to the bus stopes, bakery, salon and Ornos beach .The room was super clean and tidy .The service was fantastic with friendly staff thanks to Mrs. Angela Korba. The rooms are very comfortable with all the necessary for having a nice stay in Mykonos! Ornos is close to everything and is very quiet area! for sure I will be back! Lounge on the poolside with a cocktail in hand or return at night for unique romantic moments. At Mykonos luxury spa hotel Dionysos you can choose the type of massage that best suits your needs. Lounge area is where you can read your book or have a friendly conversation every hour of the day. Our staff is available throughout the day to assist you with anything you may require. Daily excursion boats run to the island of Delos, home to an archaeological site. 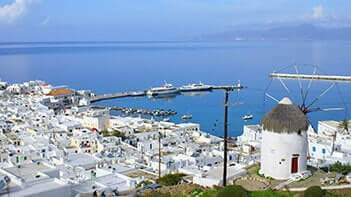 Discover Mykonos life and hospitality, its stunning emerald-blue waters, the dazzling sunsets, while enjoying a relaxing environment and high quality services. 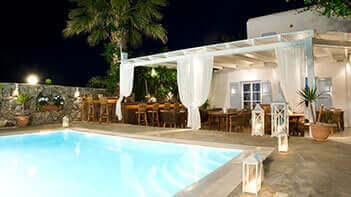 Ideally located 50 metres from the beach of Ornos, near the heart of Mykonos.